Thulhagiri is situated in North Male’ atoll approximately 13 km from the airport and takes only 20 minutes by speed boat from Male’ international airport. 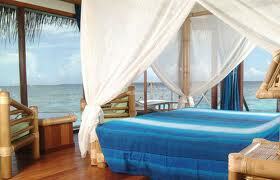 Thulhagiri offers the perfect balance of an unspoiled tropical island with all the comforts. This small island 220 meters is surrounded by a fine white sandy beach and is covered densely with many beautiful tall shady palm trees. This resort is close by to the airport and is ideal for those who are looking for a small and a private island at close proximity to Airport for their holiday. Thulhagiri house reef is ideal for snorkeling, diving courses, or you can take lessons in sailing and windsurfing. For fishing enthusiasts there is a night fishing excursion followed by beach barbecue, or you can join a deep sea fishing boat on an expedition. For the landlubbers there’s volleyball, table tennis, darts or badminton. Thulhagiri prides itself on its cuisine, offering a sumptuous buffet for breakfast, lunch and dinner. Weekly entertainments including Live band, Disco, Magic show, Acrobats and Crab race. Relax with a drink on the deck overlooking the small swimming pool and Indian Ocean. Make your dreams come true at Thulhagiri. 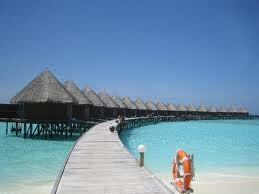 Thulhagiri Maldives holiday is an unforegettable experience.